The Professional Regulation Commission (PRC) announced today, September 10 the full list of passers for September 2015 Registered Master Electrician (RME) board exam. 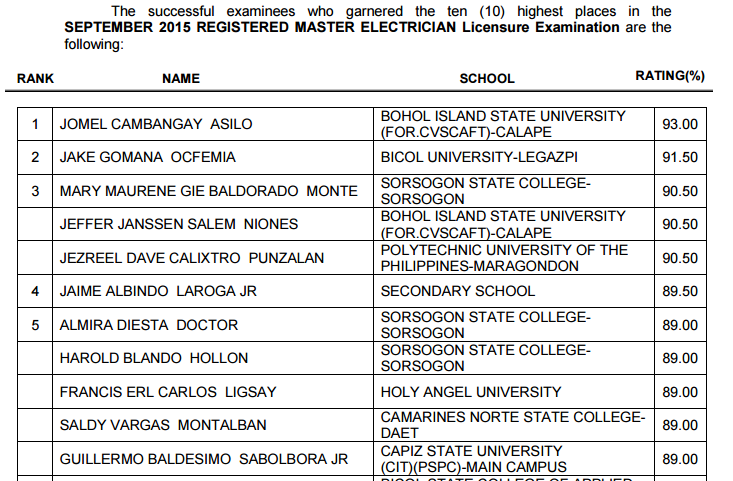 Jomel Cambangay Asilo from Bohol Island State University (BISU) topped the board with 93.00 percent grade. Bicol University (BU) - Legazpi graduate Jake Gomana Ocfemia placed second with 91.50 percent grade.